Writing Inspiration: A Castle, a Town, and Two Landscapes – Richard Rabil, Jr.
August 25, 2018 December 21, 2018 ~ Richard Rabil, Jr. In keeping with a previous post, in which I shared an architectural drawing that captured my storyteller’s imagination, I’m sharing some paintings that have inspired me over the past couple of weeks as I continue scribbling away in my spare time. I hope something here inspires you other artists as well. It would be an understatement to say that I adore castles. What I like about this one is its perch on a foaming sea and the billowing gray clouds in the background. It reminds me of Storm’s End from A Song of Ice and Fire. I wouldn’t spend my summer vacation there, but I would like to go up to the solar, wrap myself in a blanket, and write stories with a steaming mug of coffee at my elbow. The tree-covered crags and cloud-wrapped summit are what caught my eye in this piece. There’s an adventure waiting to happen there, a mystery to unravel. Maybe the hunter in the foreground is in the middle of it. The violet clouds, muted browns and grays, and silvery sheen of the water in this painting cast the landscape in a very different light than the actual location. Look up Milford Sound on Google and you’ll see a lot more vibrant greens and blues. 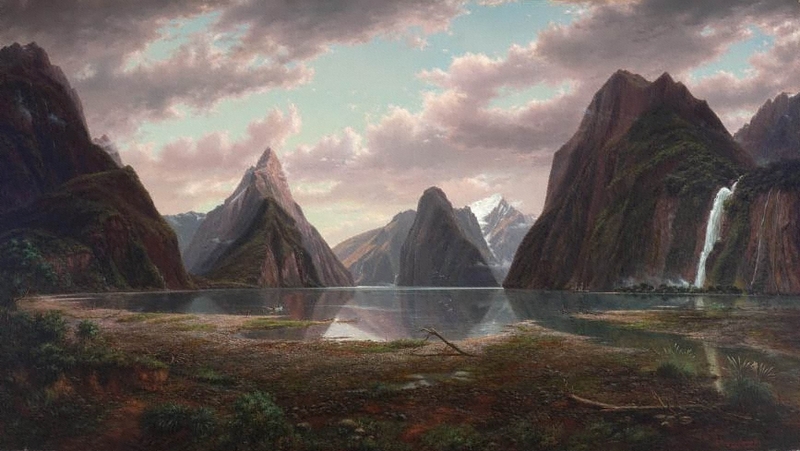 Von Guerard’s rendition has a more enchanting aura that made me think of some extraterrestrial valley out of a Dan Simmons or Frank Herbert novel. 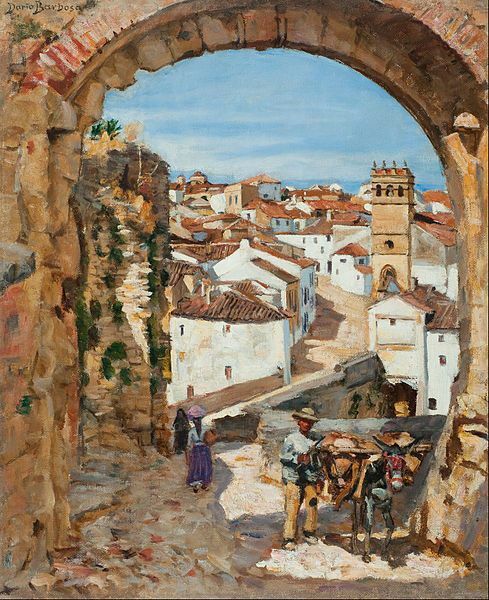 I like the old stone archway and the red-roofed villas in this one. The whole place is so different from any coastal location I’ve ever visited. It started giving me a vision for a setting by the sea in the world I’m building. I do have another post in the works. Teaser: it’s about medieval history and the privacy-related issues we’ve been seeing in the news lately. Stay tuned. ‹ PreviousDo Technical Writers Dream of Arbortext Editor? Next ›Is Modern Privacy Better than Medieval Privacy?